The couch or sofa in your living space is surely one of your favorite retreats where you love to pass your leisure time catching on your favorite flicks. While couches seem to your regular furniture pieces for everyday use, there are some really expensive sofas with price tags reaching up to 3 millions. 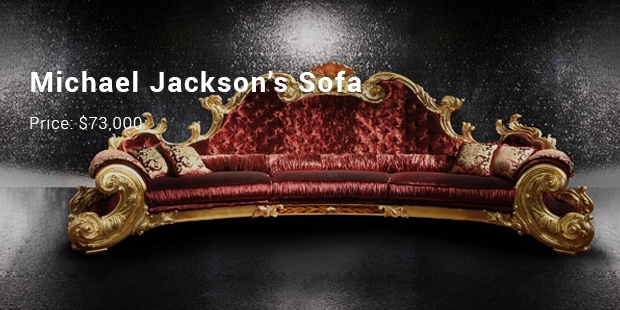 These plush sofas are not just your daily couches but an art in themselves, crafted by some of the best designer minds of the world. Sometimes it’s the very pattern while at times it’s the material used in making them that has made all the differences in the price tag. 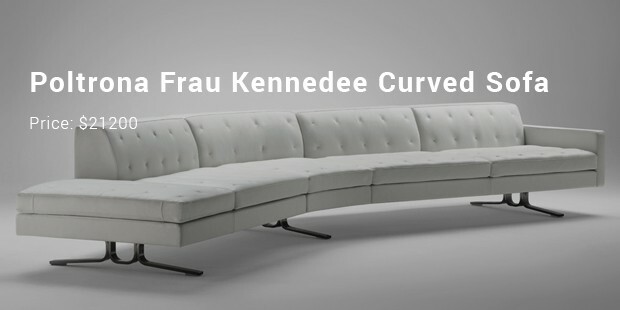 This famous luxury car rand has also amazed with the second most expensive couch of the world in collaboration with Pierre Gimbergues, the famous furniture designer. 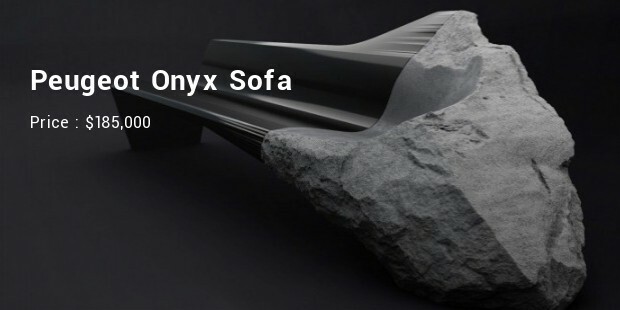 You are getting a hybrid furniture here which contains Onyx Car’s fiber carbon & Volvic volcanic lava stones to complete the overall classy rocky aura. It’s a custom-made concept design furniture. 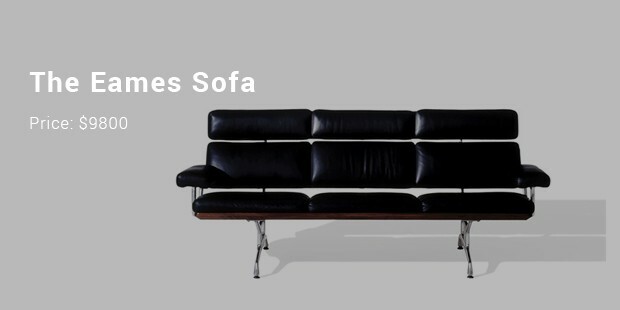 A limited edition marvel from the French giant, this special couch comes with biodegradable latex & treated leather body, framed by solid mahogany structure. 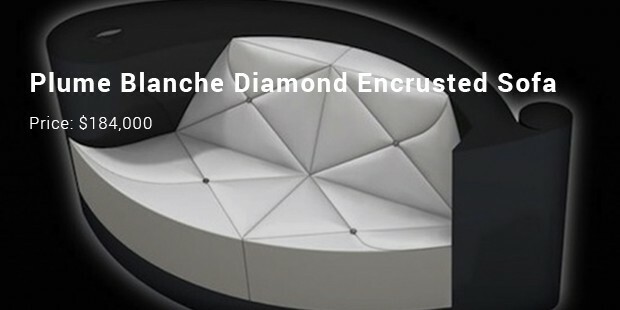 You are getting finest of pristine leather upholsters and the most important factor behind it’s plush price is the embedded logo of the company that has been studded with half-carat diamonds & platinum buttons. 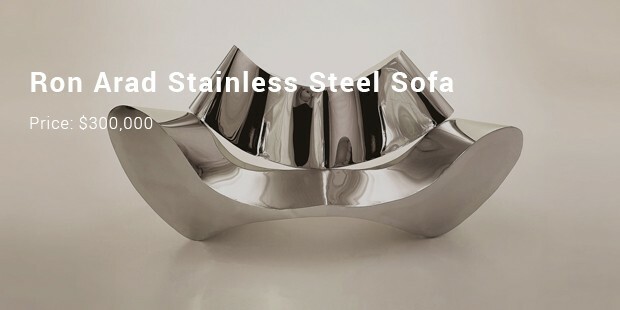 These expensive sofas are phenomenal artistic masterpieces, created by some of the brilliant furniture designers around. It’s their edgy outlook, fine craftsmanship, novel designs and majestic artistry while have duly elevated the price tag. These are no regular couches but a treasured keepsake to be preserved and passed on as a legacy to the future generation.